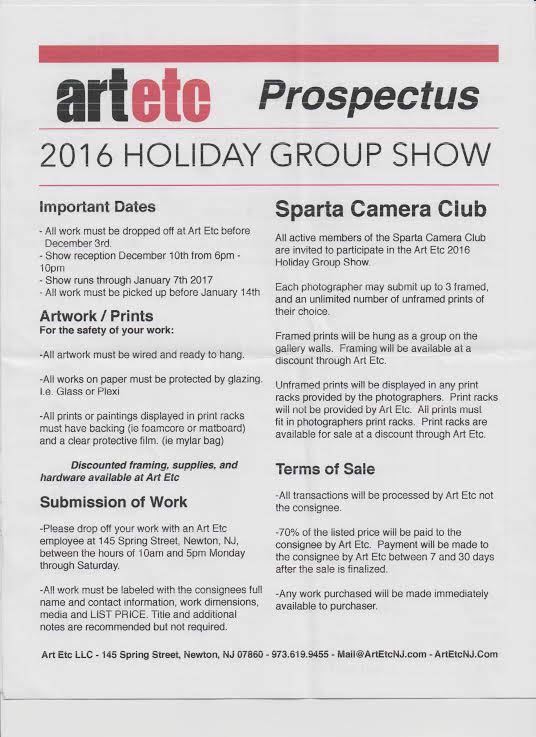 Art Etc is offering the members of the Sparta Camera Club an opportunity to exhibit and sell their photography at the Art Etc Newton Gallery. The exhibit runs from December 10th until January 7th. Members may submit up to three prints for the exhibit. Additional unframed prints may be offered for sale.